Cameras Downunder Gallery - Stereo/Glyphoscope (type2) J.Richards France. 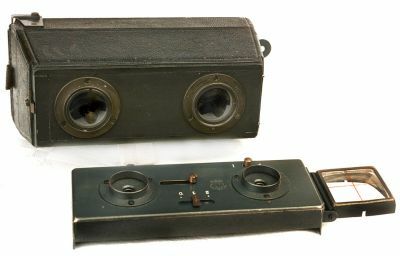 Glyphoscope ( type2 ) 1906-1930, stereo camera. wooden body 45x107mm. the lens panel can be removed to use the rest as a viewer.